One thing I simply adore about being natural is the versatility of it. Naturals have the ability to wear their hair straight, curly, in twists, locs, etc. For those days when you want cute styles but aren't up to the work involved, opt for headgear. I own a variety of pieces, but I haven't worn them much. This year, that will change. I plan to bring out my creative side with my hair accessories. Take a look at these fashionable headgear pieces (and easy to create styles) you can rock also! I purchased this style headband earlier last year at a natural hair event. It is a great accent piece with almost any outfit! You can wear your hair in a side twist out style or with bangs hanging over the front bangs. Take a look at Nikki Mae's video tutorial on the headband wrap. Scarves and turbans are awesome for days when you are extremely lazy! lol You can either pull a little hair out (bangs ) or completely cover hair with stylish knots (bantu, buns, etc.) This is a great way to keep your hair protected. It's also great for wash days. Check out this video by Shirley B. Eniang. Not only does she share how to create hairstyles, but also how to get the most out of your scarves! I'm loving these DIY ideas! This is always my first choice for headgear. It's so easy to throw on a beanie and go about my day. Beanies are no longer just winter accessories. You can wear these anytime of the year! Take a look at Naptural85's video tutorial on ways to wear beanies. This is my newest addition to the accessory collection and by far the best! There is so much you can do with this item! It can be worn as a night cap, headband, head cover, etc. I purchased a few of them at the Nzuri Festival. Trust me, I will definitely add more to the collection! Stay tuned for a fashion post with this accessory! Take a look at a quick Loc Soc video tutorial shared by My Natural Styles. Adrienne Warber of Suite 101, shares a few tips for college students! Here are helpful ways to manage your hair on a budget. If you aren't familiar with some of these ladies, you will be after reading this! Ebony online shares with us some of our favorite natural hair bloggers!!! 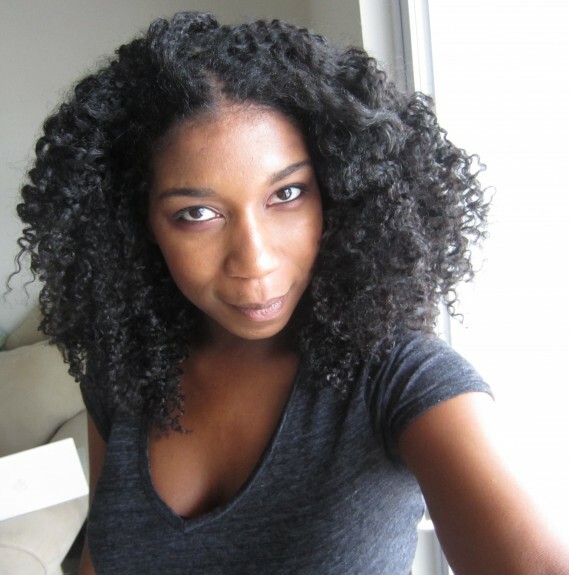 Beautifful Curls shares 12 protective styles for summer time! Check out the "how to" videos. I just adore Simply Younique. She is very creative with her natural hair and she also provides great make-up tips. Check out this video of 4 easy to do protective styles. Black Women Natural Hairstyles is a great source for creative styles throughout out the year. View this site! Popular Critic showcases a few celebrity figures with beautiful natural hairstyles.